Shot during downtime at work, so no light box because it never occured to me to bring it to the office. Anyway, this is part of the new line of Happy Meal toys here in Malaysia. 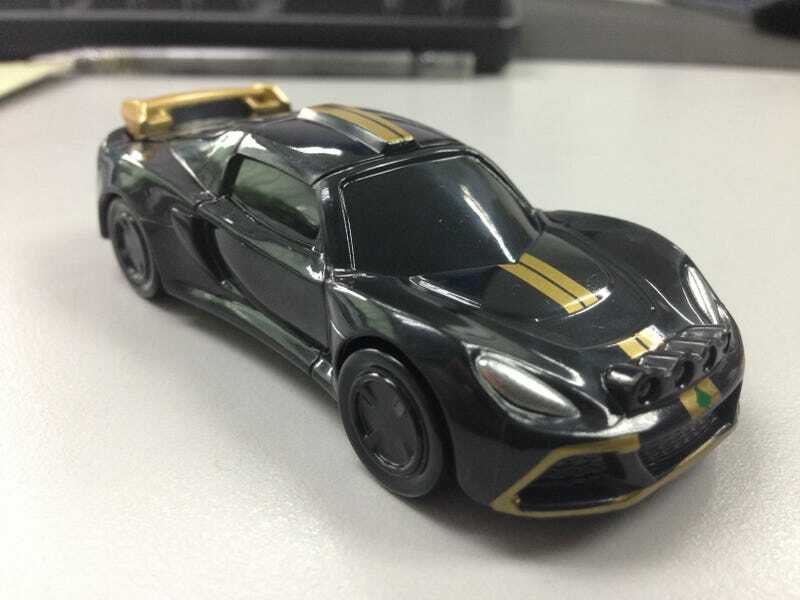 It’s the Tomica Exige R-GT concept (officially licensed by both! ), but a bit bigger and all plastic. Really good recreation, down to the wheel style. No interior, though. That said, being bigger opens up space for new party tricks. Yep, that engine bay is really detailed for a free toy. Really good value when you remember that this and the meal it came with clocks in at a third of the price of a mainline Tomica here. ...and now I’m sad again.